I opened up my first Etsy shop in December 2010. I didn’t know what Etsy was and it was hard to imagine if anyone would want to pay for what I made. 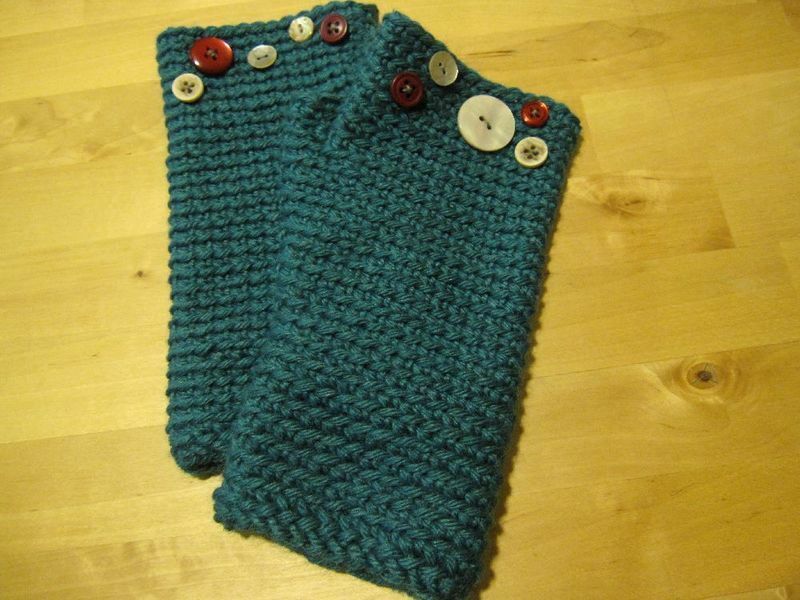 So I opened up a shop called “TeAmi Works” – te ami means “hand-knit” or “hand-crocheted” in Japanese – and posted a few pairs of fingerless gloves I made. The very first day, a super sweet customer in Nashville, Tennessee, purchased a pair and turned around and placed another order right away because her daughter loved them too and wanted a pair. It was so rewarding to be appreciated for what I made with my own two hands. I caught the bug and kept making more gloves and other crocheted accessories to sell. I was getting more into drawing then and was getting the same kind of appreciation for it. And people started asking me if they could pay me to draw or design something for them. Drawing and selling cards and prints were much more in line with how I wanted to do business, so I slowly transitioned from selling crocheted stuff and adding more art in the shop. I changed the name of the shop to “Honeyberry Studios” in 2013. And, mind you, I was never a hot seller on Etsy – between 2010 and until I quit my day job in July 2015, maybe I sold a thing or two per month. It only started to pick up after I quit my job and started to devote more time making and promoting my work. But still, Etsy has never brought me enough sales consistently. I feel it’s hit and miss, and there is the sense of “pay to play” (in fact, they raised their seller fee a couple of months ago) and you need to be on top of your SEO game etc., which I just don’t have the time and energy for. 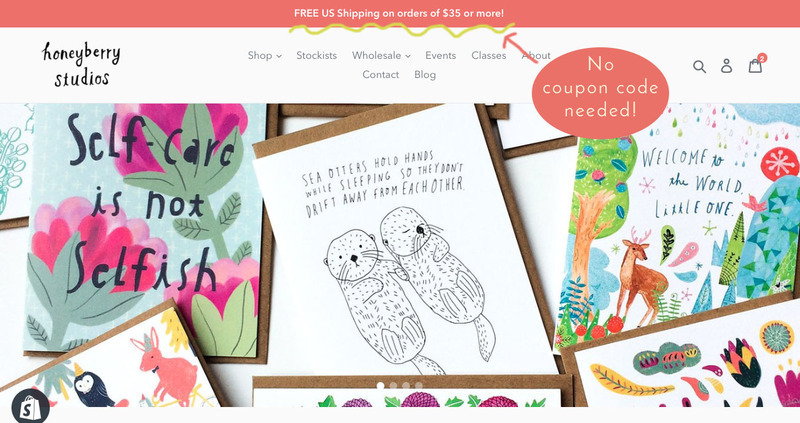 I was originally going to build a separate shop just for my wholesale business – because Etsy decided to close their wholesale shops at the end of July this year. I have a bunch of friends who do really well on Etsy, and I’m happy for them!! But I don’t like the feeling of not being in control of my shop, and it’s just not working for me. It was time for me to move on and have my own shop that’s under Honeyberry Studios’ name. 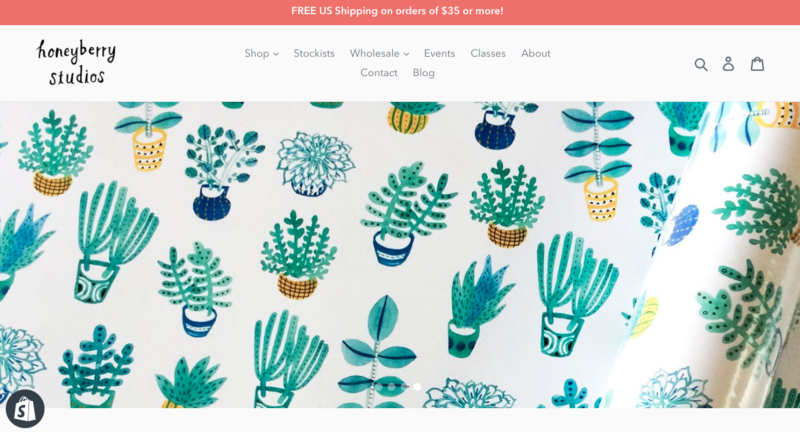 I started working on building my new shop back in May when they first announced the closure of Etsy Wholesale. I thought – oh, I’ll take a couple of weeks to finish bulk of the website. It’ll be done by the beginning of summer. I’m not building it from scratch (thank you Shopify!) so how hard could it be? It’s basically just copy and paste, no? Without further ado, meet new Honeyberry Studios shop!! 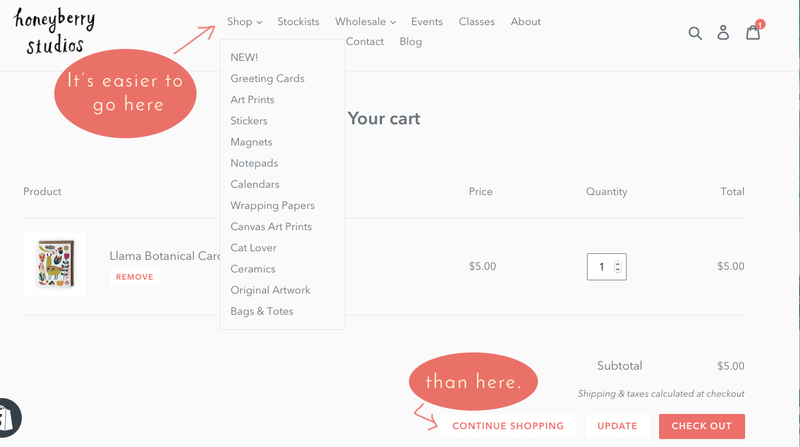 Not only is it prettier than my old website, it’s got more functions that make your shopping easier (and save you $). Allow me to point out some of my favorite functions here. First of all, you don’t need to enter a coupon code to get a free US shipping any more. When your total purchase reaches the minimum of $35 (before tax), bam, your shipping’s free. I love how easy it is to create/select categories, too. 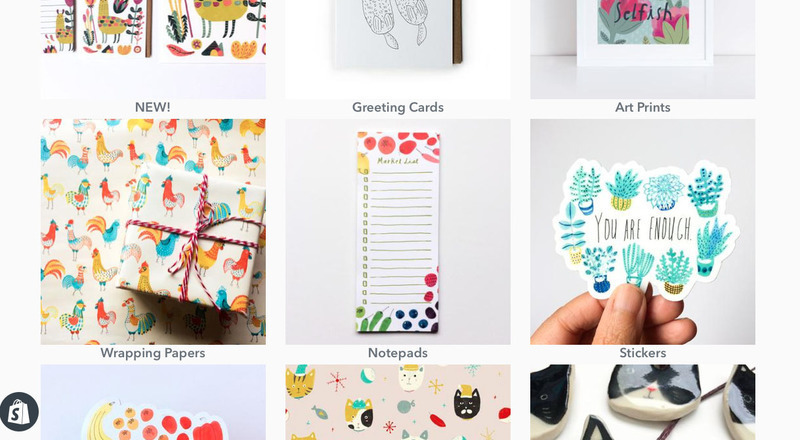 Etsy only allowed a limited number of categories (I think), so it’s a big bonus. Scroll to see the categories visually laid out for you! 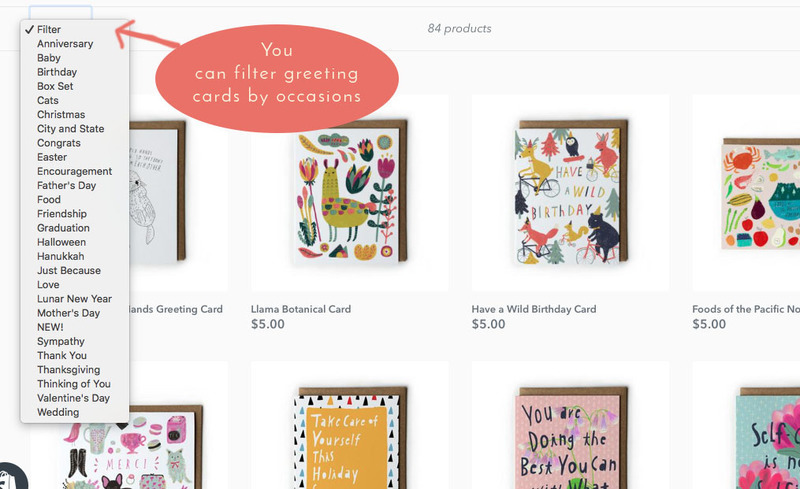 I’m particularly happy about how you can filter all of my greeting cards by occasions, too! One thing I’m a little annoyed about, thou, is that every time you put something in a cart, you’re directed to your cart and can’t just keep shopping. If you want to keep browsing, I suggest you click on the top “Shop” button and get back in a collection you want to explore, rather than hitting the “CONTINUE SHOPPING” button at the bottom because this will throw you in “all products” page where you have to wade through 150 products all mixed together! And may I suggest you create an account during your first visit?? Not only would you save time on your future shopping, I’m rewarding your loyalty by giving 5% off on every single order you place through your customer account! And if you have any questions, I’ve got links to important stuff at the bottom of the website. Of course, you can always shoot me an email, too! Last but not least, with the grand opening of my new shop, you finally get to shop my fall & winter collection!!! Weeee! 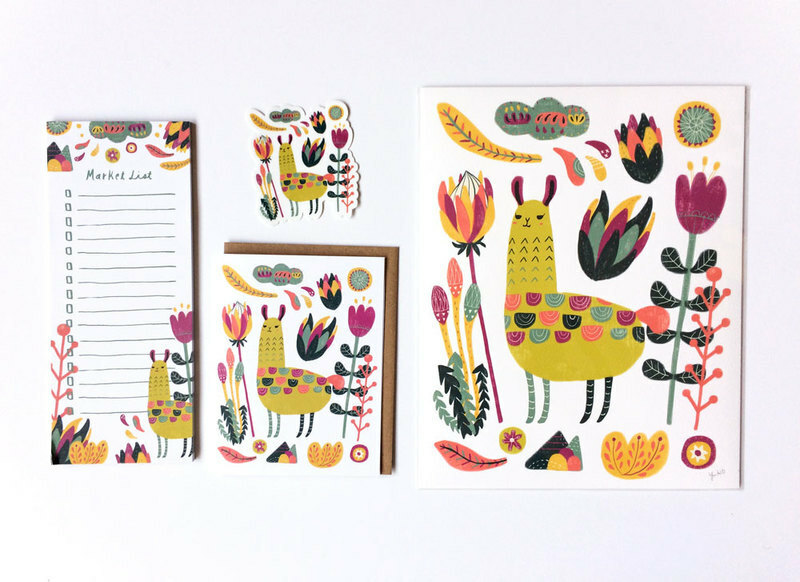 You can explore the llama stationery gifts pictured above, new holiday cards, 2019 calendar, and wrapping papers in my shop now. My old website used to make me cringe – you know, I built it from scratch using very few coding skills I had, which I’m super proud of. It worked for what I needed in the beginning, but it felt outdated and didn’t really represent who I was and where I wanted my business to go. My creative business is labor of love. It’s so much work but gives me so much joy in return. I’m so happy you’re here with me, witnessing and being part of my dream!! Take a few minutes to explore my new site today! It’s still somewhat a work in progress, so if you notice something not working, email me and I’ll take care of you! p.s. If you’re wondering what happens to my Etsy shop now – I’m undecided. It will be there for now, but I will be investing all of my time and energy learning and improving my new site from now on.